Simon was having a great day. He woke up early, saw his kids off to school, fixed himself a tasty cup of coffee, and sat down to read the latest in The National. It was a little warm in the UAE on this day, but Simon always felt a cool breeze landing softly on his face. Life was good. When he finished reading the paper and took his last sip of coffee, he got up from the kitchen counter not realizing that he had place his iPhone 7 on the newspaper in front of him. As he picked up the newspaper he witnessed in slow-mo his beloved iPhone go crashing to the kitchen floor beside him. When started out as a wonderful day, quickly turned into a lonely morning cry-fest in the comfort of his own home. He iPhone 7 had cracked. He was now staring at a broken iPhone screen in his home on the Palm. Life took a quick turn for the worse and he was sure how he was going to go about his day. Once he wiped away the tears and gathered his emotions, he began to take proactive steps to figure out how to fix this problem. He turned to his trusty friend of his iPhone – his iPad. He did a quick search for an on-demand, fast, efficient, friendly iPhone repair service in Dubai that could help with his ailments. Was there even such a thing, he thought to himself. 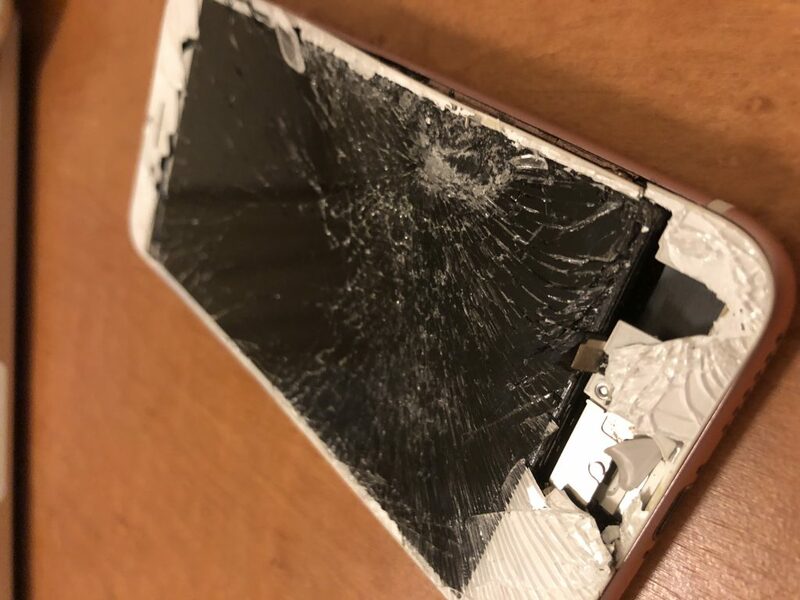 Sure enough, when the search results came up he found an amazing company that has been around in the UAE for nearly 10 years that could come to his house and fix his iPhone on the spot. He was overjoyed and gave us a call immediately. Within minutes we scheduled an appointment with Simon to get his iPhone 7 screen fixed in Dubai on the Palm. It’s days like this that make us love what we do. Happy to help Simon! Be careful out there! How many drops does it take to finally break the screen on an iPhone. Steve, unfortunately, was the one who had to find out the hard way. 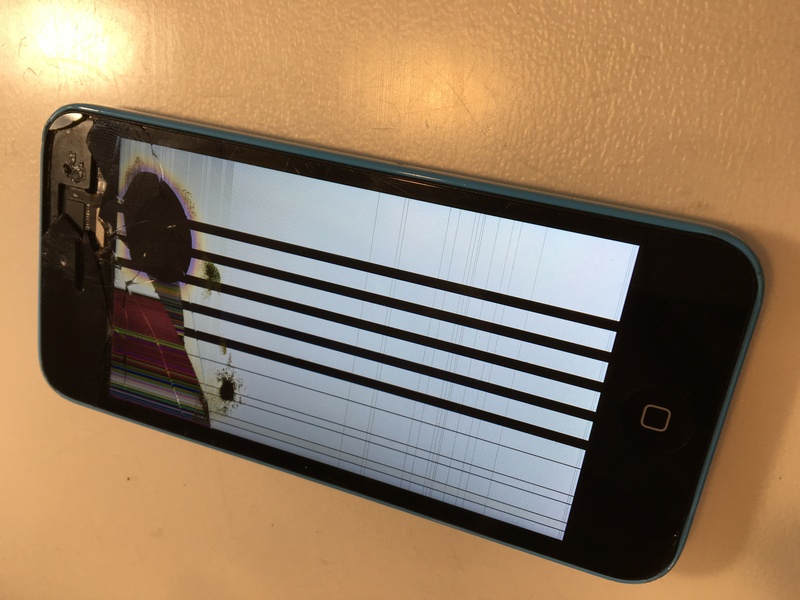 Having been in possession of his iPhone 5C for all of three days, without accumulating any drops, he finally figured out that it takes just one drop to cracked the screen on his iPhone. No fun! 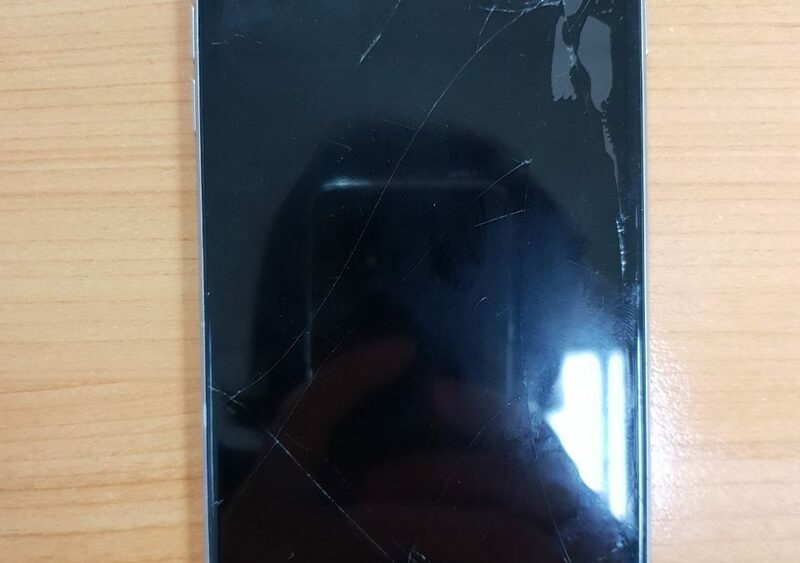 As you can see from the picture above, the result pretty much destroyed the entire phone. He couldn’t text. He couldn’t call. He couldn’t let his friends know that he was going to be out of commission for a short while. The drop/crack/destroyed iPhone happened when he was getting out of his car before work yesterday morning. The iPhone had been resting on his lap when he pulled into his usual spot. 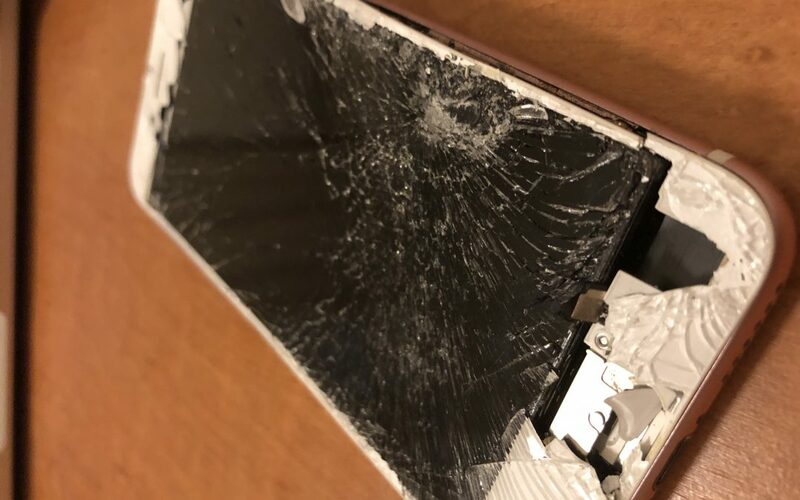 After turning off the ignition and grabbing his mug of coffee, the first step out the door caused his iPhone to go crashing to the ground – completely rendering the iPhone useless. Disheartened, he walked through the company doors and up the elevator. Once he reached his desk he began looking for iPhone repair services in Dubai and Abu Dhabi. 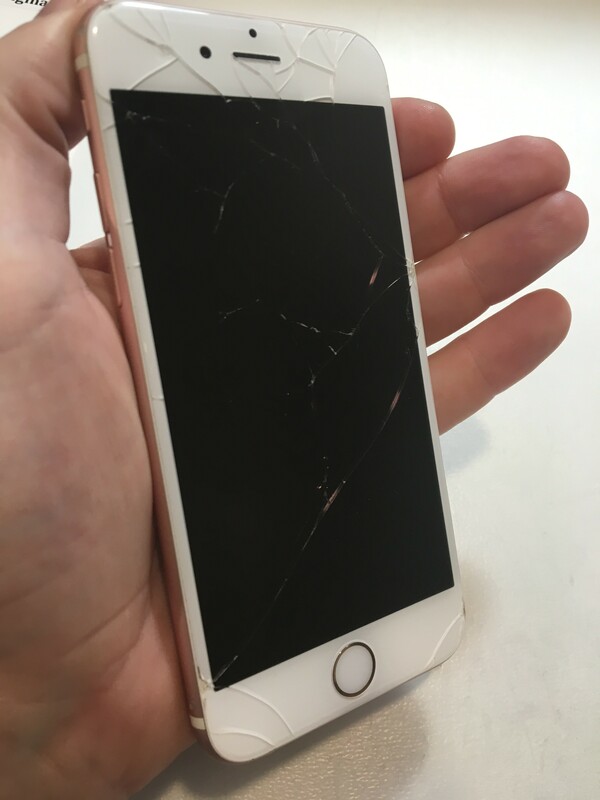 After just a few minutes, he came across iRepairUAE and was refreshingly surprised to find that we have an on-demand service that comes to our customers and repairs iPhone right on the spot. A few clicks away, Steve had set up an appointment with us and was able to get his iPhone back in working order before the end of the day. He was delighted by our service and was even more delighted by the fact that no one would have to know he had broken his broken. Disclaimer: In writing this post, we used a different name so “Steve” wouldn’t be called out and embarrassed by his friends. Happy we could help, “Steve”!